We've already heard that Samsung will launch the Note10 alongside a smaller version of the stylus-toting phablet, and today a new report from its home country of South Korea comes to elaborate further. According to this new rumor, there will be no less than four different Galaxy Note 10 versions, two of them with 5G connectivity, and two topping out at 4G. So, we'll apparently get the 6.75-inch Note10 along with a 6.28" version. The bigger model gets four rear cameras, while the smaller one has to make do with three. Then we have two almost identical phones in terms of specs, but with 5G added in for good measure. Samsung is said to be making this unprecedented move, of launching four Note flagships in a year, because of how successful the same diversification strategy has been for the S10 line. Remember, there are four of those too: the S10, S10+, S10e, and S10 5G. 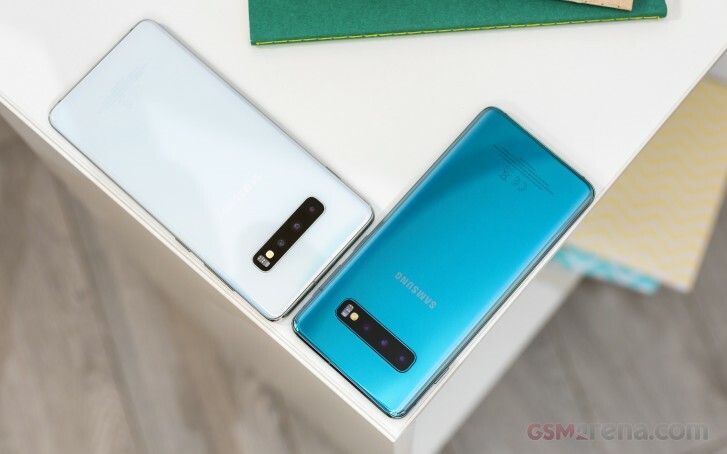 Obviously the smaller Note 10 will try to replicate the S10e's success in the stylus-toting flagship line, while the two 5G variations will be there because it's 2019, the year in which marketing departments everywhere in the mobile world can't wait to utter that buzzword. Okay, it still stands that I don't think it's disgraceful nor dishonorable. Samsung remind me what Nokia did in the past.